I'm back after having a baby! Hurrah! Lots of new exciting prints being stocked so keep your eyes peeled & check out our Instagram and other social media for updates & offers! Thanks for stopping by, grab your beverage of choice, have a scroll, pin some ideas and get printing! All Velvet Wolves prints are now 100% instant download which means that you awesome guys can have them straight to your inbox without waiting for shipping or better yet paying for shipping! Yes! The power of the internet! Inspired by my love for Beauty and the Beast, the first film I ever saw at the pictures. I started selling dreamy pop culture inspired prints and while I still do this as I love the process and seeing them adorning the walls of your homes. Fast forward to I 2018 and I’ve got a fresh outlook. 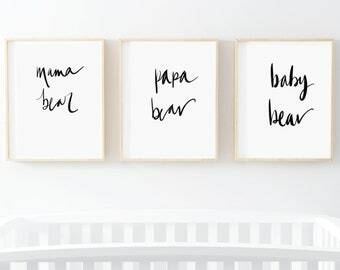 Now a new mum to Leonardo Bear I’m branching out into Nursery Prints & interior decor. So you can still find Lana Del Rey and Clueless inspired prints but also things for the little ones. Oh, and grandparents, too! I’m still accepting commissions for personalised stuff- just drop me a message! Let’s be friends. Welcome to the Tired Mum’s Club. Natasha is a new mum! She likes to make art for people's spaces. You can find her in her studio at home with messy hair, cold tea & a head full of ideas.